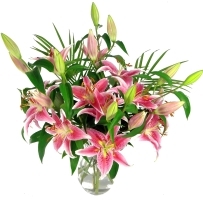 Post-a-Rose.com offers a next day flower delivery service both locally and throughout the UK. With prices starting from only £13.99 including delivery Post-a-Rose’s offers an exclusive range of bouquets and plants to suits all budgets. Whatever the occasion receiving flowers is the perfect surprise when expressing your feelings. With Post-a-Rose you can be assured of only the finest quality roses and flowers online. As Post-a-Rose has over 30 years experience in growing roses & flowers for Floral Bouquets, we can guarantee that your bouquet of flowers ordered from our online florist will receive the very best attention right through from picking to dispatch. All bouquets of roses & flowers from our UK online florist are arranged, presented and packaged by our specially trained florists into special gift boxes. The bouquets of flowers come complete with your own personal message on our special gift cards, conditioner for longer lasting flowers and our care instruction card.